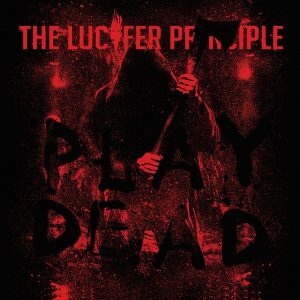 Review: The Lucifer Principle – Play Dead – Self-released – Release: 30-03-2017. “Stompin’ death metal” is how TLP label themselves and as soon as you hear the music you’ll understand why. 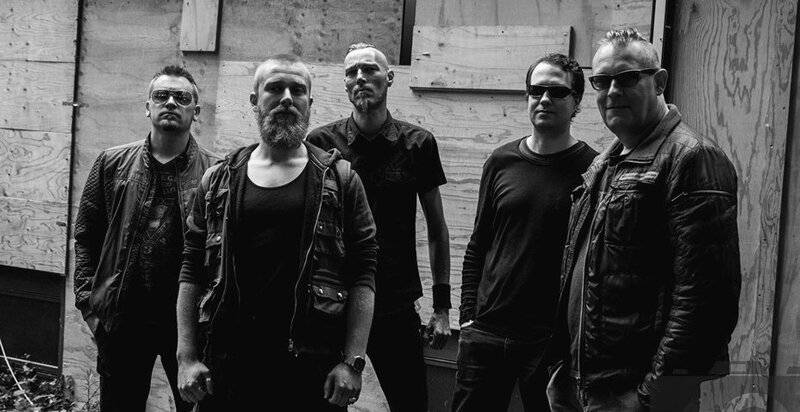 A great almost danceable groove flows through the music of the Dutch death metal outfit and has been one of their trademarks since their first demo “Burn” from 2004. After a second demo in 2005, “Flamethrower”, expectations were high and even crushed with the infectious debut “Pitch Black Dawn” in 2007. The band followed suit with 2009’s “Welcome to Bloodshed”, but unfortunately the band ran into various problems and aside from some live shows it has been quite quiet. 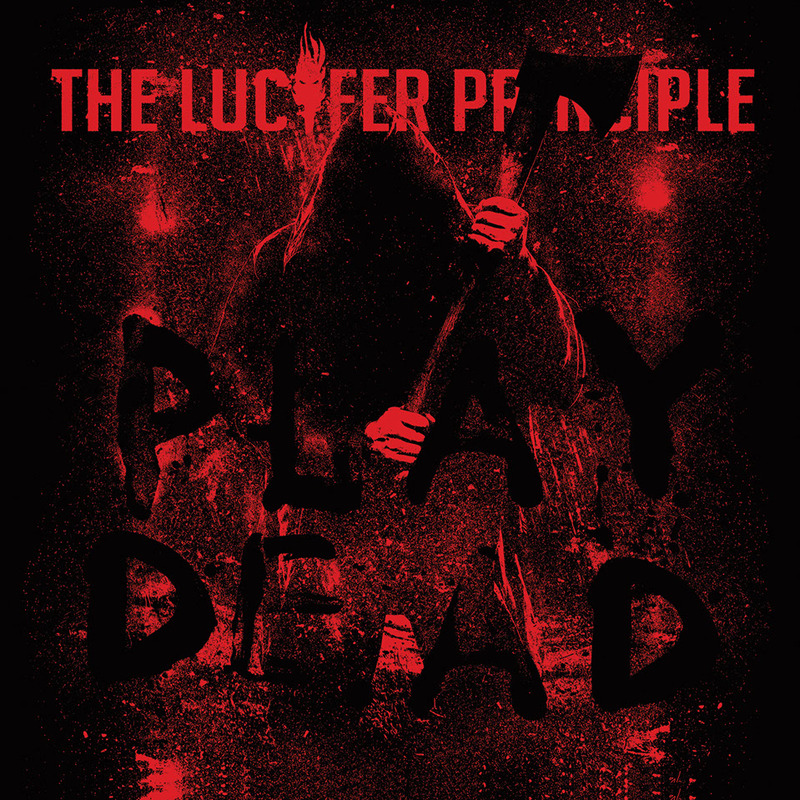 Until now, when the band starts the party again with “Play Dead”! Eight years since the last release, not counting the one-time eruption of ‘Eaten By the Wolves’, the title “Play Dead” seems fitting. That’s quite a while between releases, so does the band still have the groove? The opening riffs of the title track definitely say yes! Getting you poised to band the song starts up slowly before getting right back into the typical TLP stompin’ death metal sound. “We All Play Dead!” shouts singer Erik and you know that this will be one hell of an opener for shows with ripping riffs and great thunderous rhythms. It’s clear that the band is back in full force! ‘Darker’ continues onwards and has clear nods to “Pitch Black Dawn”, while totally being a song of its own. ‘Monster’ combines speedy death ‘n’ roll with slogging heavy riffs, often reminding me of the second album. Those classic rock solos give the songs that much more to go way beyond the typical death metal solos! Personally I preferred the first album to the second as “Welcome to Bloodshed” featured more straight forward death metal and “Play Dead” seems to be a great mix of the two. Fans will have already heard ‘Eaten By the Wolves’ some three years back and it’s nice to hear how a long simmer has made this song even better! Speaking of songs from a few years back, TLP have given fans a real treat by re-recording ‘Dei Gratia’ from the first demo! Already an awesome track back then, it has been made even better with a better production and improved skills by the band. And it really still fits on an album 13 years later which goes to show that TLP have a distinct sound. Rounding off the album is ‘Nailed Shut’, which hopefully won’t mean that the band will be buried anytime soon! Whereas the previous album closed down with one final almost danceable track this one is closer to a war dance with a slowly fading sludgy ending. It fits well for an album closer, but personally I would’ve liked one final eruption to end the album. It’s clear that a long wait between releases hasn’t done the band any damage and “Play Dead” is a very strong addition to an already impressive array of artillery. If you ever get the chance to see this band live, and you should!, get ready to bang and dance!